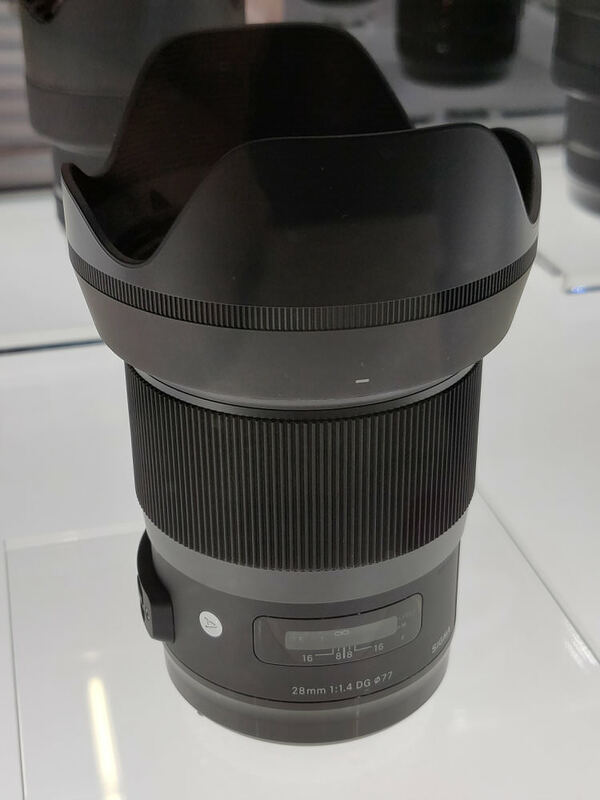 We had a look at the Sigma 56mm f/1.4 DC DN lens, at Photokina 2018, in Cologne, Germany. Available for Sony APS-C E-mount cameras, giving an 84mm equivalent (in 35mm terms), and Micro Four Thirds cameras, giving a 112mm equivalent (in 35mm terms). 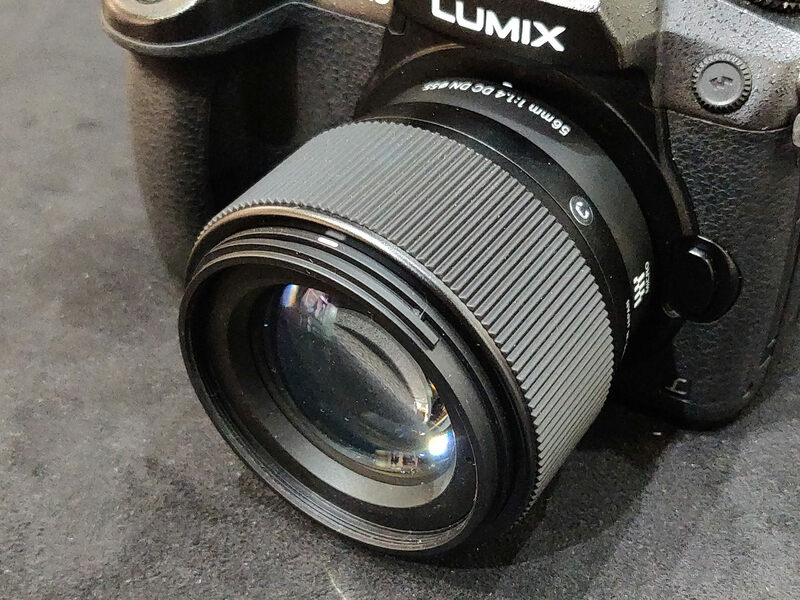 This is a compact lens, that looks good on the Panasonic Lumix GH5, and no doubt other Micro Four Thirds cameras. There are now three f/1.4 lenses available from Sigma for Micro Four Thirds, and Sony E-mount, with the 56mm f/1.4 joining the 30mm f/1.4, and 16mm f/1.4. The SRP (including VAT) of the 56mm F1.4 DC DN | C will be £399.99 and it will be available in SE & MFT from November 2018. 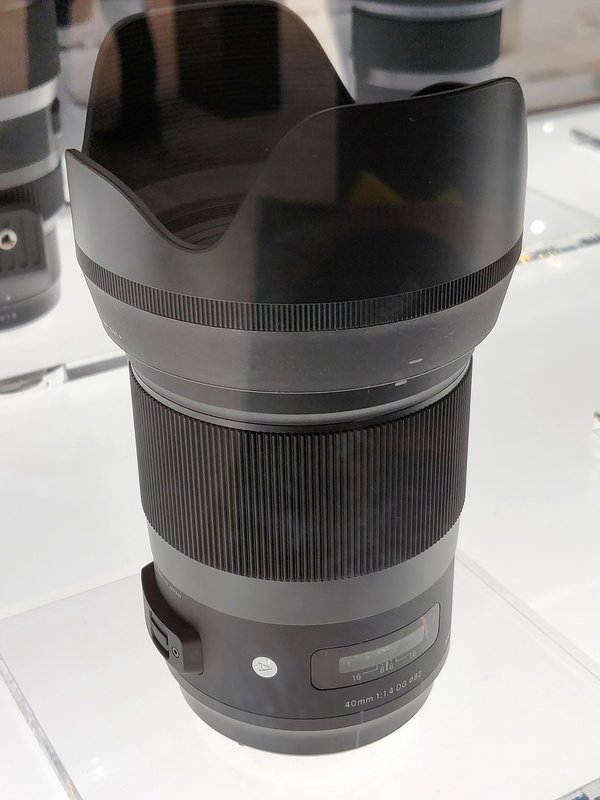 Sigma are also showing the new 28mm f/1.4 lens, and the 40mm f/1.4 lens.